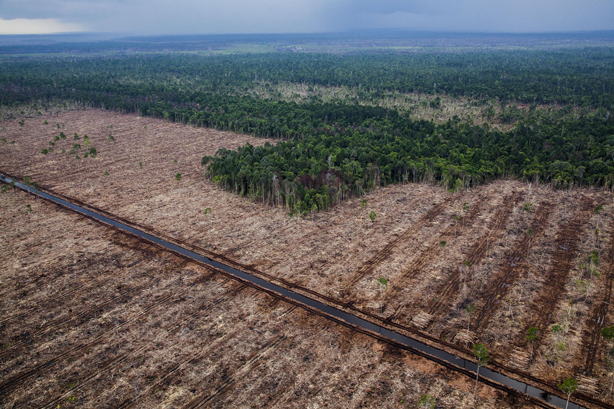 Santander has agreed to stop financing the pulp and paper company Asia Pacific Resources International Ltd (APRIL) because of its destruction of the Indonesian rainforest, after meeting with Greenpeace. The high street bank met with Greenpeace this week after it targeted the organisation for providing loans to APRIL, which it says is responsible for deforestation in Indonesia. Greenpeace activists have been campaigning on the high street and online to persuade Santander to stop lending money to APRIL. The bank issued a statement today that states: "Based on further internal analysis, Banco Santander has decided to not renew the current funding to APRIL and will not be extending further funding at this stage. Any future loans will be conditional on APRIL implementing new sustainability measures which address its involvement with deforestation." After an investigation, Greenpeace said it had discovered that Santander had loaned APRIL tens of millions of pounds as well as brokering syndicated loans, including one for £400m, for which Santander and its partners received a ‘Deal of the Year’ award from Trade Finance magazine. Graham Thompson, press officer at Greenpeace UK, said: "APRIL is behaving so badly that we felt our supporters wouldn’t need much encouragement to let Santander know that funding it just wasn’t on. And we were right - the deforestation footage we put on our Facebook page has now had more than three million views, in just two days. "There’s a lot of passion out there on this issue, and APRIL’s customers and business partners need to think carefully about how important that relationship is to them." Representatives from Greenpeace and Santander will meet on Thursday in London to discuss the details of Santander's commitment.